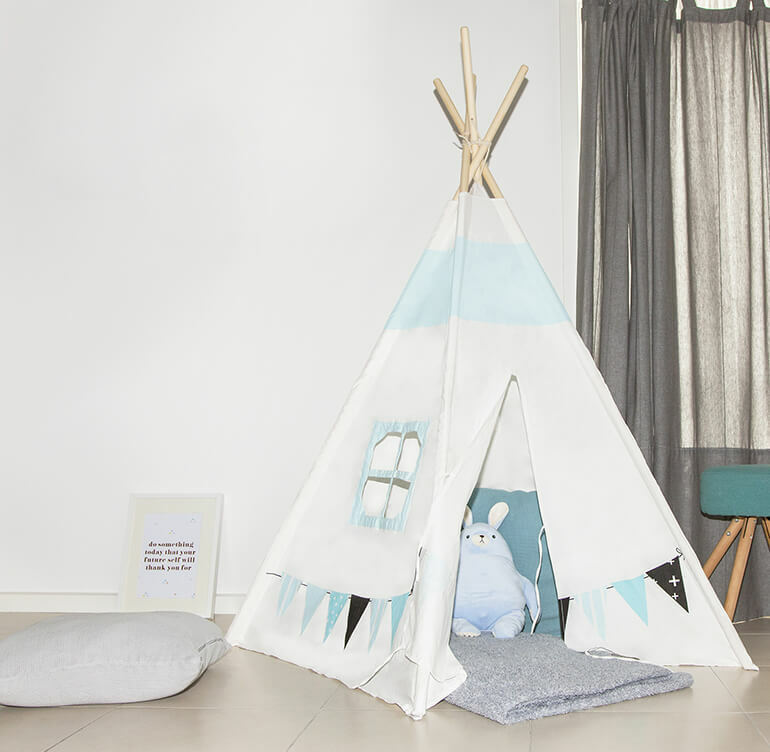 Give your kids a comforting and secure place to find alone time with the Jolly Teepee. Our play tents offer little ones their own hideaway; a place to read, learn, imagine, and escape. Made using quality timber and cotton, these teepees are comfortable, safe, and look great in any room. Teepees & Play Tents are excellent indoor 'mini cubby houses', gives your kids a cozy place to play and hide. Throw in some toys, books and cushions and your kids will have hours and hours of fun. Not only do our Teepees look great, but they are made with 100% high quality cotton and pine wood frames for years of play. This product comes flat packed with assembly instructions included.